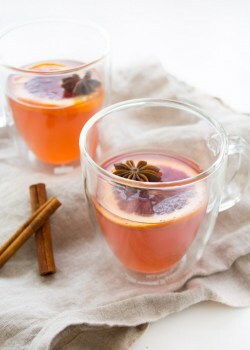 One of my favorite Julia Child’s quotes is “I enjoy cooking with wine – sometimes I even put it in the food I’m cooking.” So, I was all liquored up over this month’s spirited Recipe Redux theme: cooking with booze! I try to always have a bottle of dry white wine in the fridge to add to sauces for pasta dishes. White wine, shallots, olive oil, lemon, reserved pasta water, and you’re done! But the Honey Whiskey has such an interesting sweet flavor profile that I knew I had to use it. And how fitting that just last week, I tuned into a webinar hosted by Recipe Redux and Healthy Aperture and sponsored by the National Honey Board on…you guessed it! Honey! Honey has so many functional benefits – from preserving to emulsifying to acting as a antimicrobial! Marie Simmons, Author of the cookbook Taste of Honey, said that she likes to make a simple non-fat salad dressing with equal parts lemon juice and honey. Now doesn’t that sound refreshing! One of my all-time favorite smells in the world (besides fresh basil) comes from street carts that are making roasted nuts. 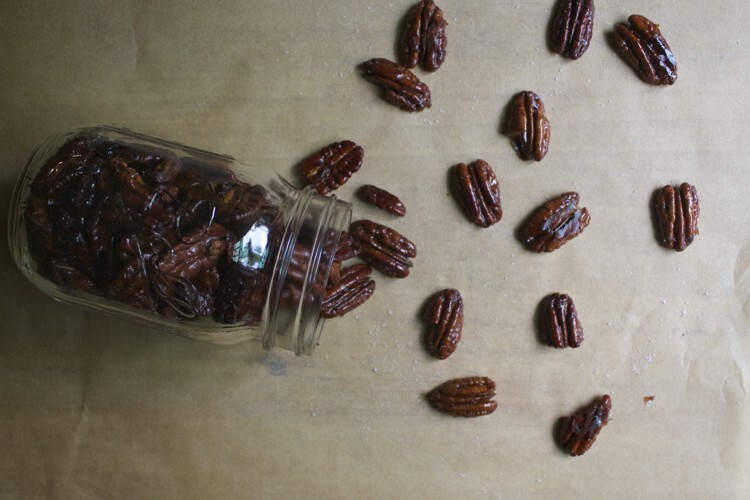 Cinnamon roasted almonds – seriously, nothing smells better. I wanted to try roasting nuts and home and fill my apartment with that sweet aroma. Preheat the oven to 300 degrees. Line baking sheet with parchment paper. Bring whiskey and honey to a boil. Add pecans and stir to coat. Let simmer for about 5 minutes and then remove from heat and drain liquid. 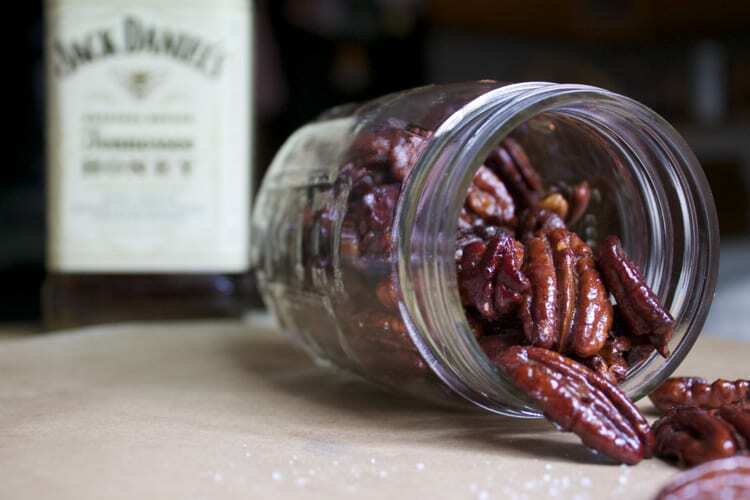 Transfer pecans to the baking sheet and roast for about 10 minutes, turning pecans over once halfway through baking time. Let cool to room temperature prior to serving. 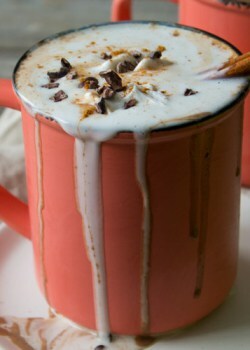 Wow, these look soooo delicious! I bet they would make a delicious topping, too. Can’t wait to try! Thanks, Sarah! Threw these on top of a salad the other day. So good! Bet they would be delicious crumbled over some vanilla bean ice cream too. Just sayin’. Thanks, Anne! Yes, I can’t wait to revisit these come holiday time this year! I used whiskey in my post too! These look absolutely delicious, strike that they look dangerously addictive! Loved that you used bourbon with plantains. YUM! 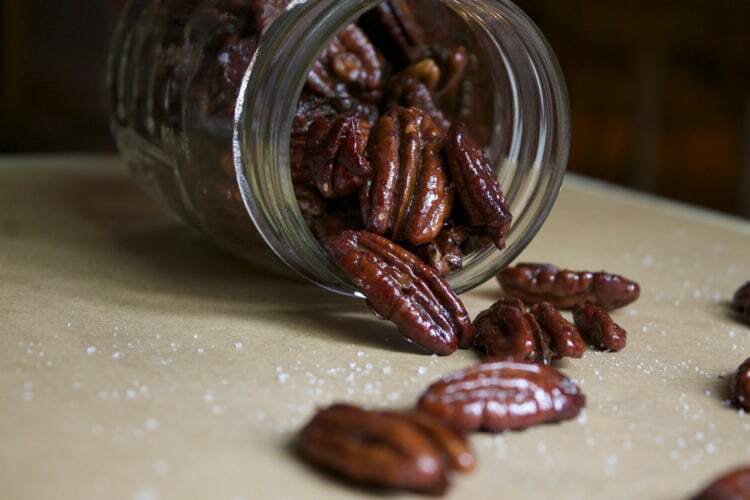 And I must concur – these pecans are seriously addictive. They should probably come with a warning. Thanks for sharing the pecan love, Danielle! Yum! I’m going to use these as gifts! Great photos too! Thanks, Marisa! Love these as a gift idea – mason jar and some twine – and voila! Great shots! 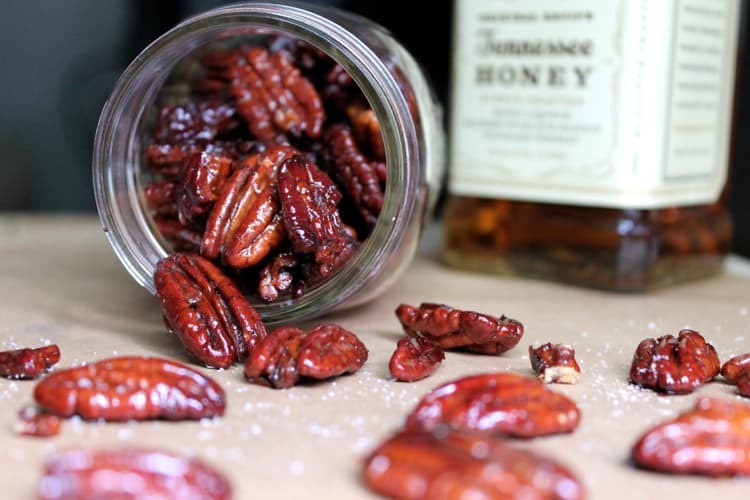 And how can I resist honey whisky & pecans! That’s a southerner’s dream! Thanks, Bridget! I’m not a big fan of whiskey but that Honey Whiskey sure is something special. What a treat – will definitely be jazzing up hostess gifts with these! Great! I love roasted nuts, although I rarely make them. I love how beautiful and glazed these look!